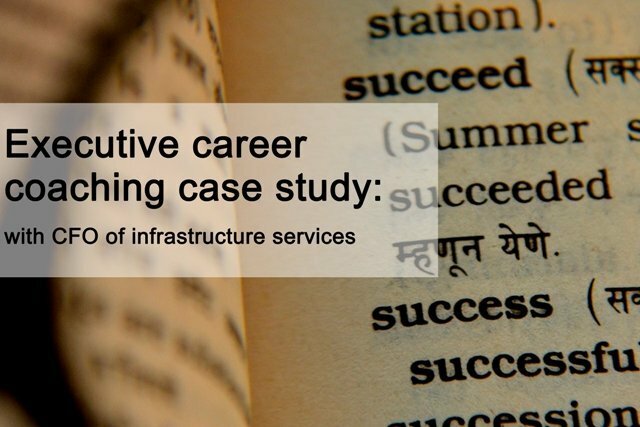 Prior to working with Executive Connexions, the challenges I experienced were around a previous job move into financial services which was outside of my main industry experience in utilities/infrastructure (albeit still as CFO). The company had also faced a number of challenges. Furthermore, age – at comfortably the wrong side of 50 – was not on my side. I needed professional help and moral support which were provided at reasonable cost by Executive Connexions. I had previously benefited some years back from a comprehensive employer funded service and what I needed was more of a refresher and update which I needed to fund myself. The biggest surprise in my job search was that whilst you can perfect your approach and preparations, you are dependent on some luck as to what roles come up when you need them. The coaching provided the morale boost and steer from an experienced career adviser that I needed to set me up for success. I think the most important thing I have learned about myself is that I am more resilient and persistent than I ever thought! In terms of how my career goals have changed, I’m now very much advised to ‘stick to the knitting’ and focus hard on the sweet spot, in my case being CFO of infrastructure services. Following working with Executive Connexions, I am now looking forward to starting a role as CFO of RATP DEV UK. RATP Group are one of the largest urban transport operators in the world. The advice I would give to someone seeking their next senior role is this: Be patient and use the time to prepare and research effectively. Every interview is slightly different and get loads under your belt with as much feedback as possible c. 20 would be good prep.